It's that time againnnn Do It Yourself. This time I bring something new in the game: your own DIY Kit. Oh yes I'm saving you the hassle of finding the stuff from my DIY's so from now on you can find the kits in my store www.shopsoyl.com I'm starting with this one and I will add more asap. Well lets start with the DIY.. I love love love this one especially for the fact that the top is detachable. So I can wear my shoes simple or glammed up, it's my choice. Ok let's go for real. 1. 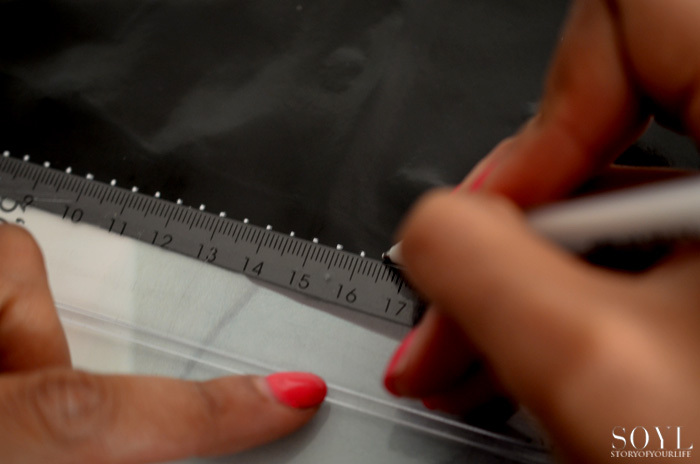 First Up: For the width of your Top you need to measure the width of your shoe top, then the length check how high your shoe is from top to sole and you have your length. 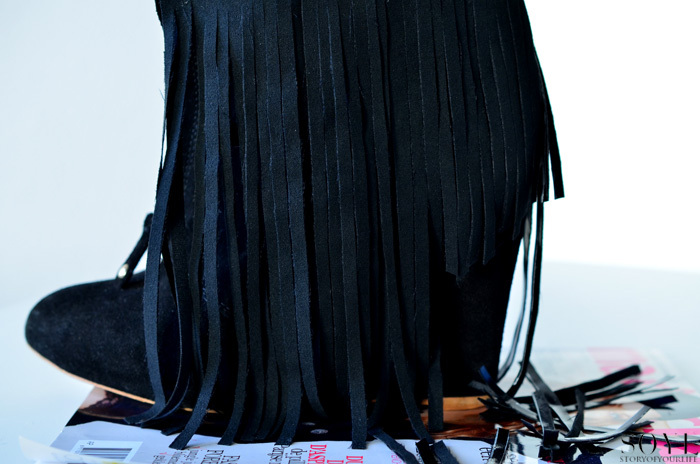 Now if you have your piece of leather with fringe you can go to step 2. 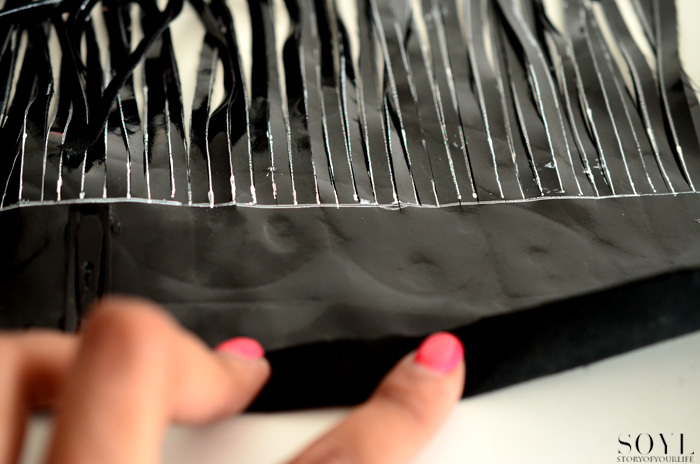 The leather in my DIY Kits are already pre cut in to fringe. If you do not, pay close attention pls. You need to make your fringe. In order to do that you need to make lines with a space of 0,5 cm in between. 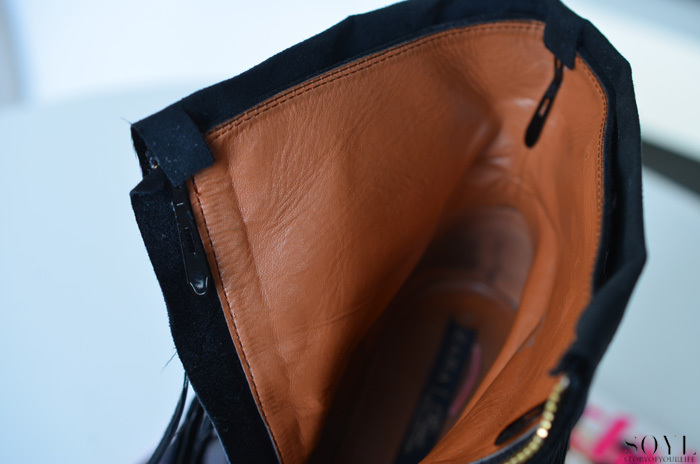 Note: On the top side of the leather, you need to leave a space open of the lenght of your pin plus 2 cm. 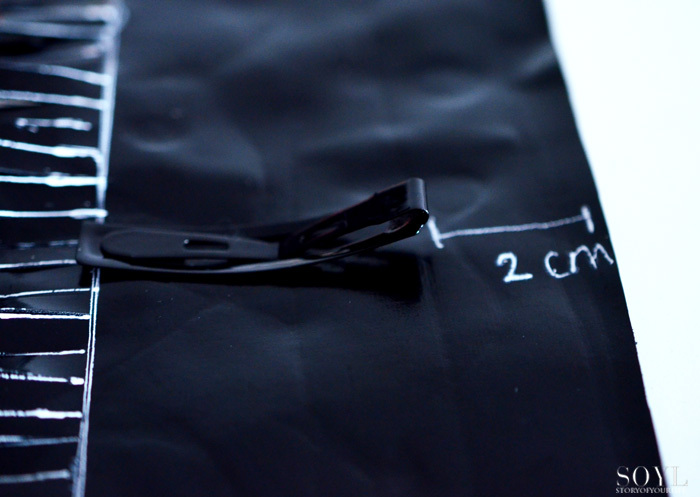 So you need to measure your pin in cm and add 2 cm; that't the space you do not want to fringe. 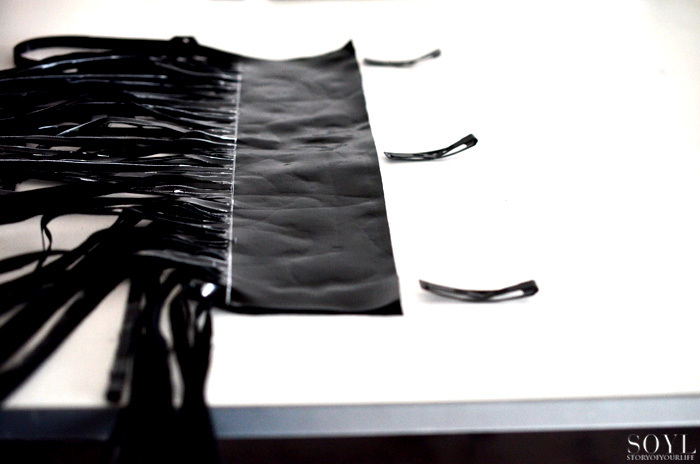 Make a line so you will know the limit of your fringe. 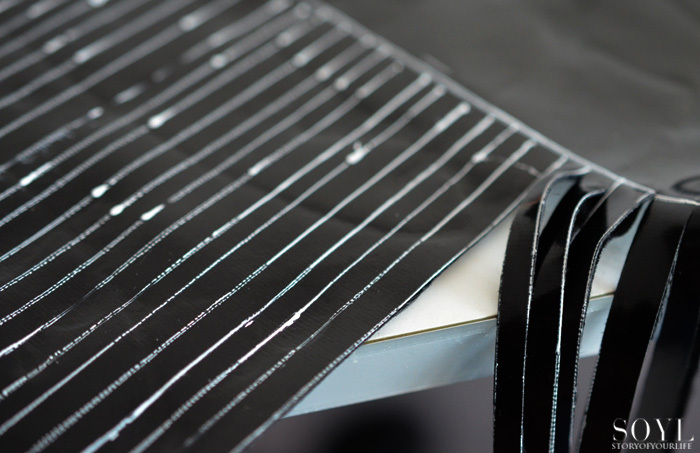 Now you can make the lines and cut your leather in to fringes. Done? Jeej you've fringed the hell outta you're leather! 2.Ok next we need to put the pins in place, do this equally for the weight of your Shoe Top. One on each side and one in the center. 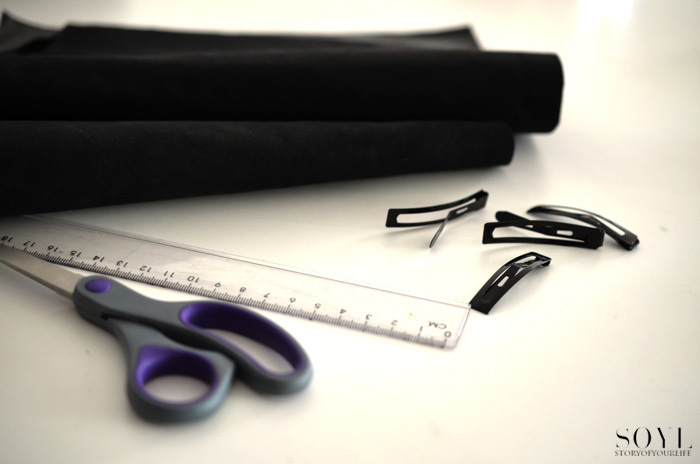 The DIY Kit contains more so you have the option of adding more pins for security. Important: Leave 2 cm open on the top! Now glue it down. Wait for 10 min. Check it. 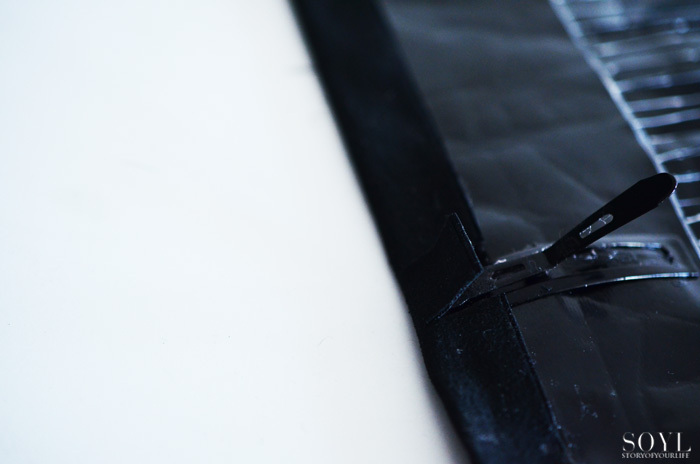 And now you need to make snips in the leather as in the photo. This is to firmly hold the Top in place. 3. 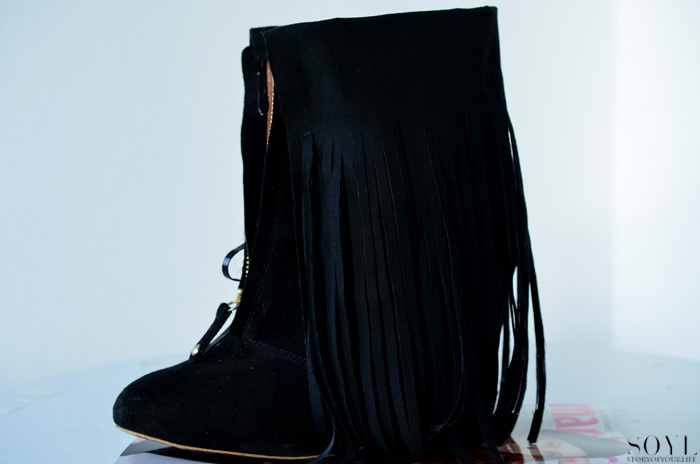 Click your Fringe Top on your shoe.Now check it outttt You've allready got an awesome top! But the length is too long so you will be cutting some off. Tip: Check the design of your shoe and follow the lines. For sneakers I can imagine a straight fringe but for high tops or wedges you can try something different. 4. Now the last step my favorite Embellishments :D! And you know me and my spikes I need to Spike it Up, so I added the spikes and studs in the mix. They are also included in the Kit. You're Fringe Top is a fact. You can choose for a ready-to-go version!